This is no ordinary T-Shirt! This shirt changes color in the sun. You will love to wear this shirt every single time. The shirt will show its colors immediately after the sun light hits it. The speed of its changes will depend on how sunny the day is. It then will gradually change back to its original black & white once you’re back indoors. Magic T-Shirts® are printed on Gildan Ultra Cotton 6.1 Oz. shirts. They are 100% cotton and some shrinkage should be expected. The washing instructions for our color change shirts are the same as any screen printed t-shirt.The washing instructions are on the back of the size tag. Machine wash with cold or warm water, inside out, with other white clothing. Do not use chlorine bleach. Tumble dry medium heat. Do not iron designs. These shirts are sent by US Priority mail or First Class mail. 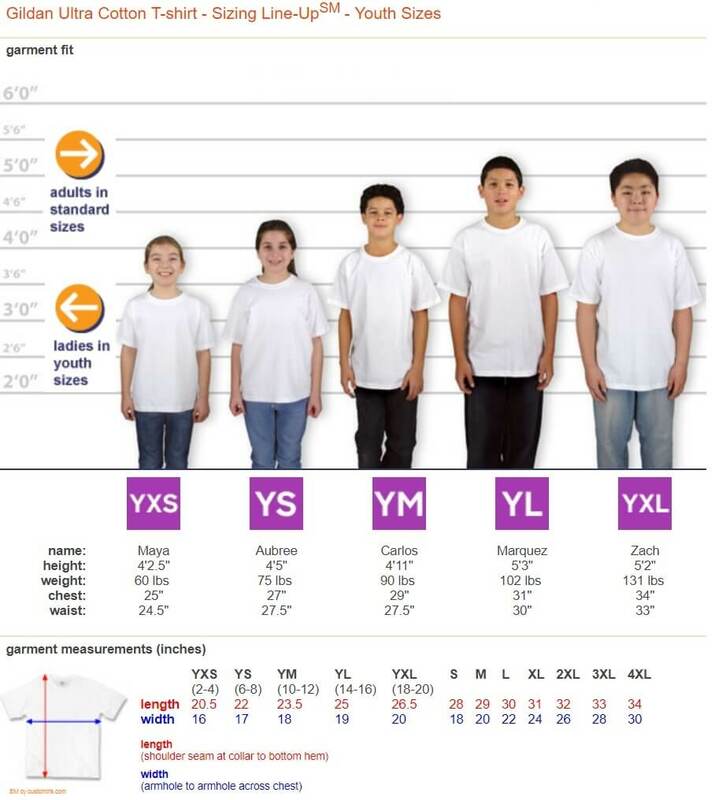 a medium is a 10-12 year old and a large is a 14-16 year old. than in the past, so shirts are cut large.